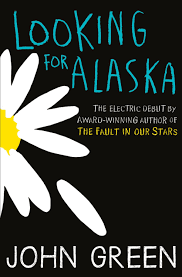 "Looking for Alaska is about a teenage boy named Miles who moves to a boarding school in Alabama. He soon falls for Alaska, one of his best friends who is mysterious and has a unfortunate past. I thoroughly enjoyed this book because I think it showed what young people can get up to, how they pull pranks on each other, and relationships in a boarding school. I found I could relate to some of the characters in this book especially since I have been in a boarding school since I was 11. I would recommend this book because the characters are interesting as they all have different sides to each of them. I couldn't put this book down, it made me laugh and there was always something happening." "I would recommend this book because it is not like my other book that I am doing, It has a twist to it. It is about a girl called Sarah who sues her parents for the rights of her own body because she donates her organs to her sick sister Kate, but one of the twists is that Kate asks her to because she feels bad. And the book is about how the parents deal with being sued. I think that it is such a great book because it is very different to all the other cancer books. I would definitely recommend it."